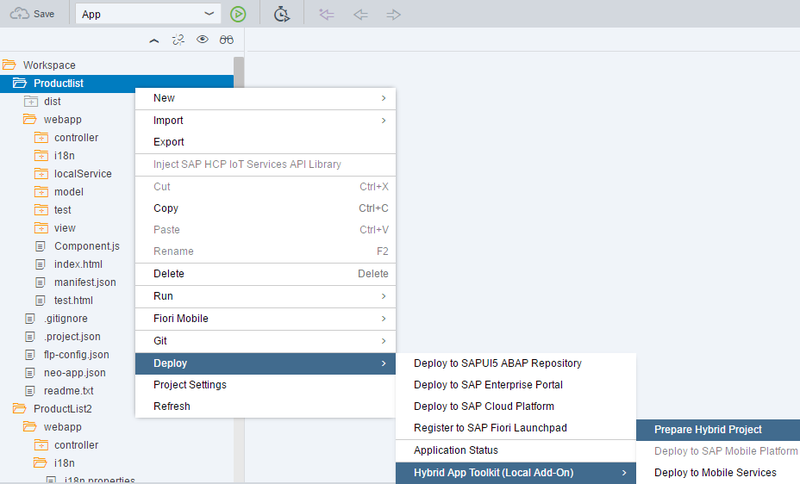 See also, Creating an Offline CRUD hybrid mobile app in SAP Web IDE Full-Stack with Hybrid Application Toolkit and End of Maintenance for Hybrid App Toolkit local add-on. 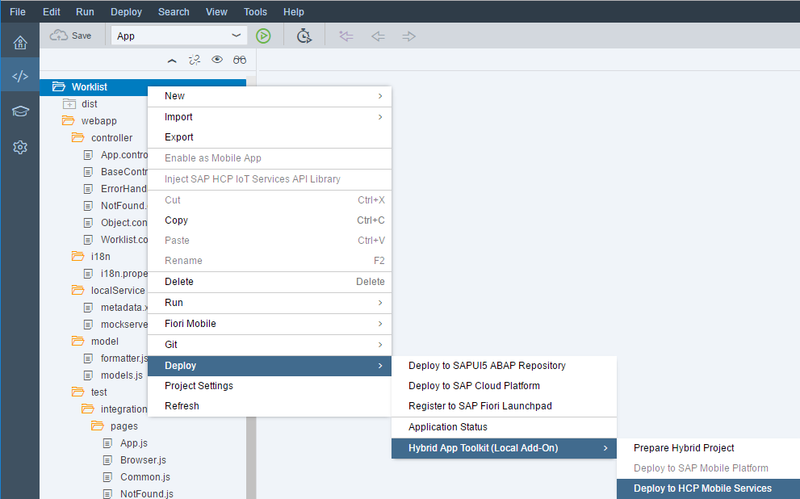 The SAP Web IDE provides a browser based integrated development environment(IDE) for creating SAPUI5 web based applications that additionally can be extended to support hybrid apps through Fiori Mobile and the Hybrid Application Toolkit(HAT). 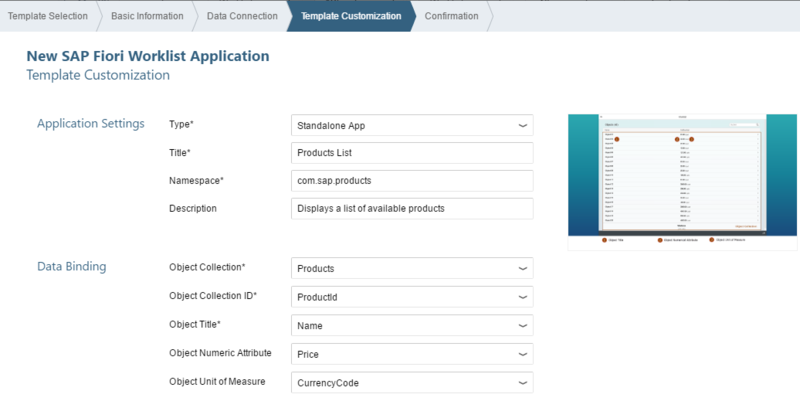 This blog post will demonstrate how to create a SAPUI5 OData based application using the SAP Web IDE and then deploy it as a hybrid app using Fiori Mobile and the HAT. Some additional tutorials on the SAP Web IDE at SAP Tutorial Navigator are listed below. 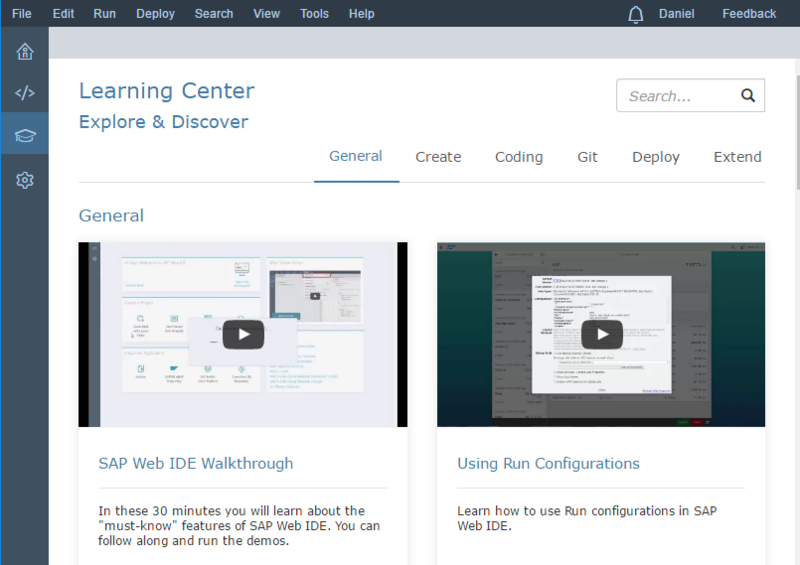 Note there are a series of videos included in the Learning Center area shown below of the Web IDE. 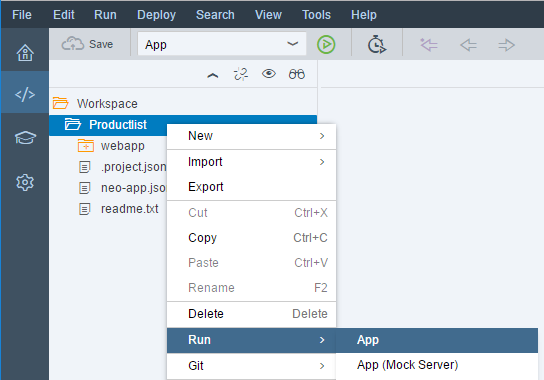 This section will demonstrate how to create and run a web application using the SAP Web IDE. 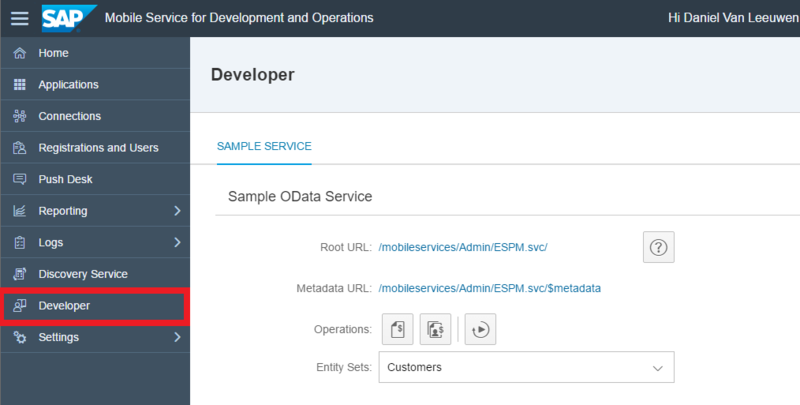 This example will use the OData service that is included in Mobile Service for Development and Operations. Open the Development and Operations cockpit. 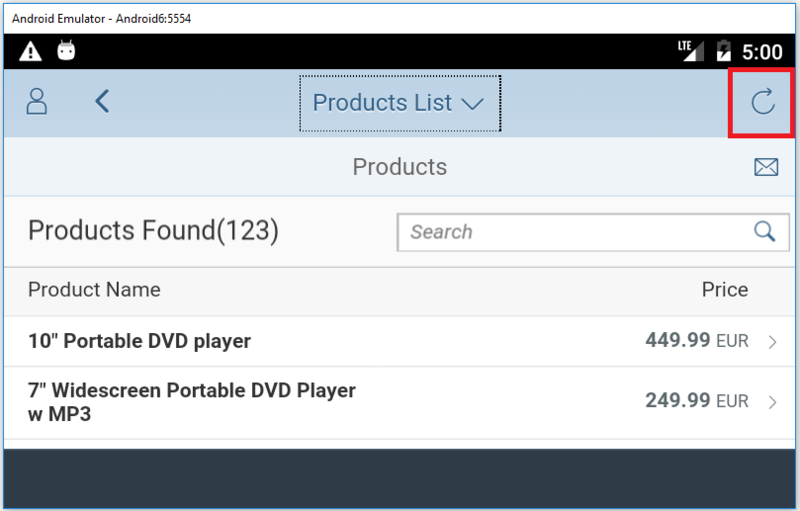 Under Developer the sample OData service is available. Note, you may need to press the button to reset the data to the initial state if you are seeing no data or are seeing data with mixed languages.This OData service can be accessed by the following URL after correcting the XXXXXXX values. This OData service is useful as it provides each user with their own OData service whose values can be updated and easily reset. 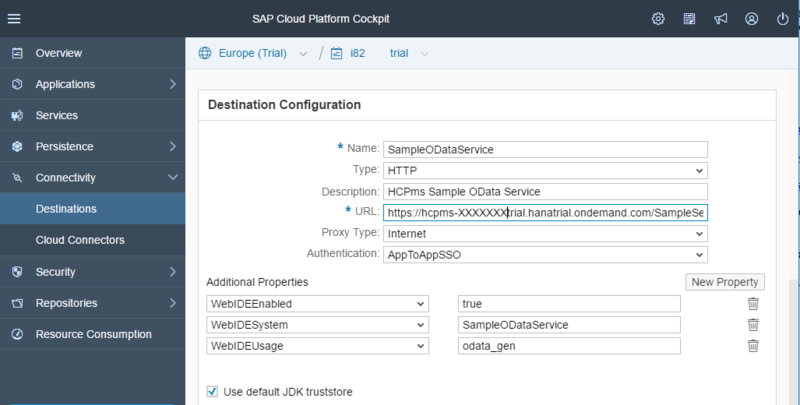 Next, create a destination to this OData service in the SAP Cloud Platform Cockpit. 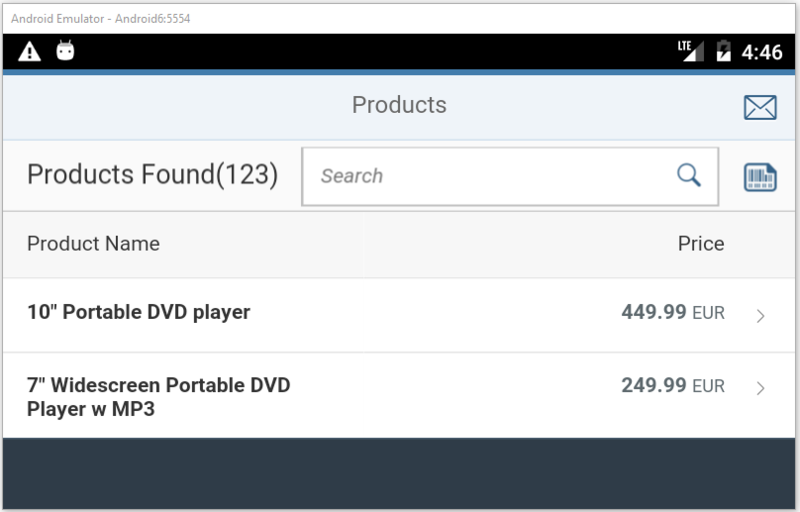 Navigate to Services and the SAP Web IDE. Enable it if it is not already enabled. 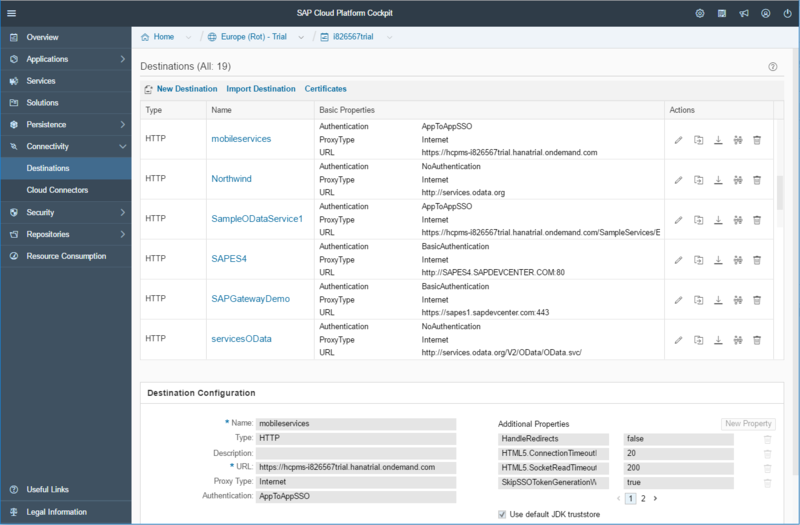 Note, that there is a new Web IDE available named Multi-Cloud Version. 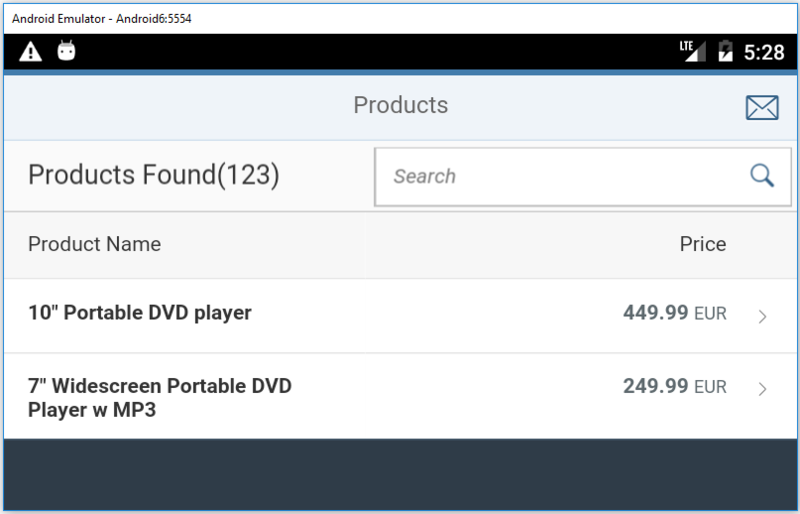 This blog post currently uses the older SAP Web IDE. 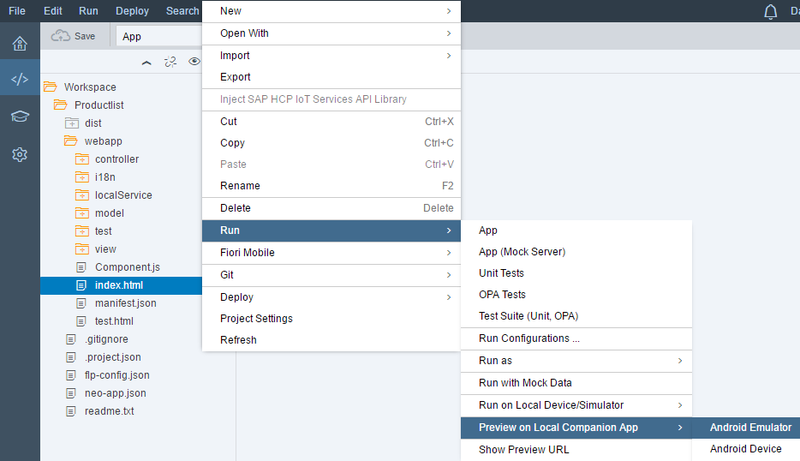 Click on Open SAP Web IDE. 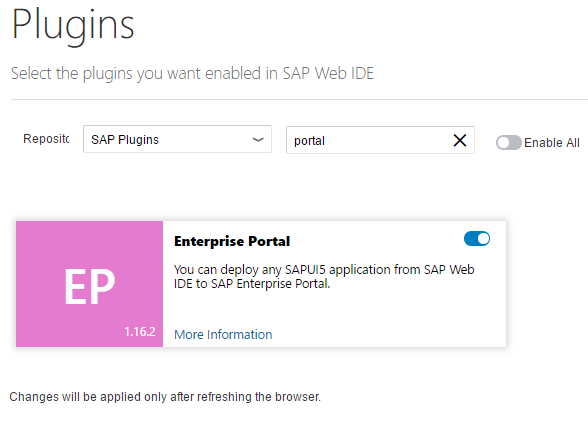 In the SAP Web IDE, under Tools, Preferences enable the below plugins. Create a project from template via the File, New, Project from Template menu. 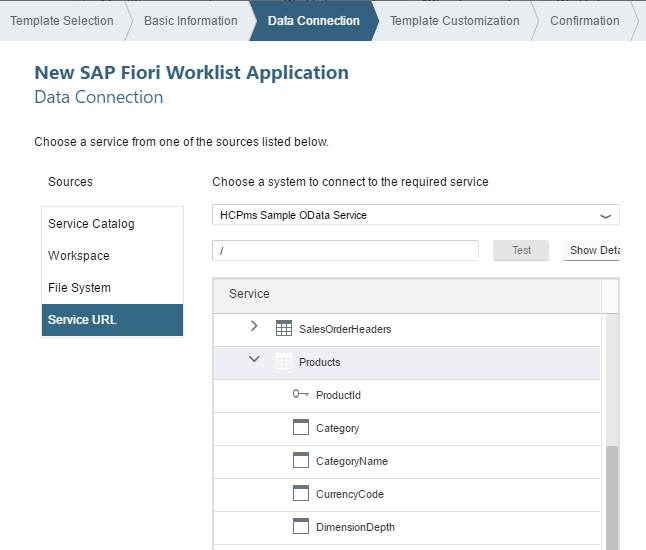 Select SAP Fiori Worklist Application. 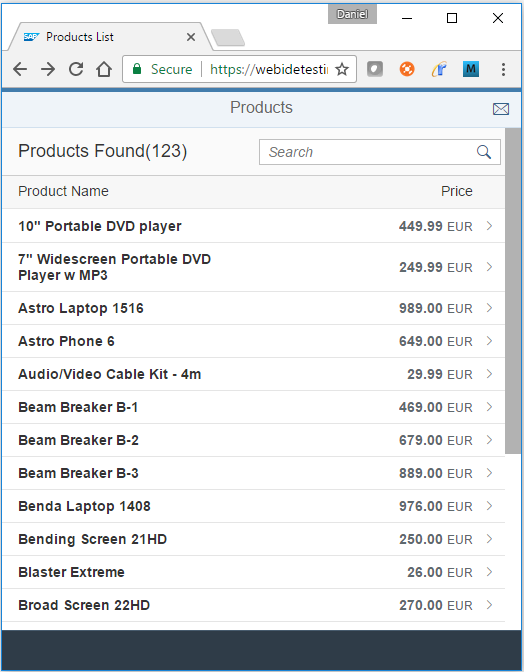 Specify the project name to be Productlist. Select the Data Connection as shown below. Specify the application settings and bindings as shown below. Note a few minor changes were made to the labels as described below. A few minor tweaks can be made to the application. Modify the i18n.properties file and tweak some of the names to be more descriptive. Optionally modify Component.js below the this.setModel call and add the below code which will cause the OData requests to be made individually rather than as batch requests. Modify Object.view.xml and change the ObjectHeader to display different content. Note, when the HAT plugin is enabled, an additional setting appears when running the app as shown below. 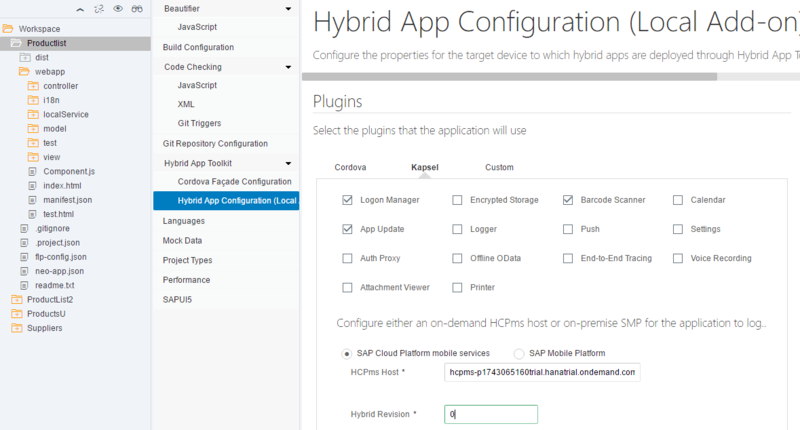 This section will demonstrate how the previous application can be packaged as a hybrid application and will use the Fiori Mobile build service to build the application. The following are some related links on the topic. 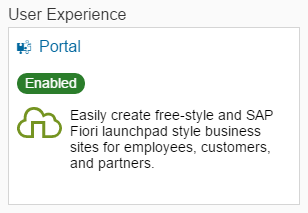 The Fiori Mobile Service has a link to Go to Admin Console, which has the following Getting Started link. 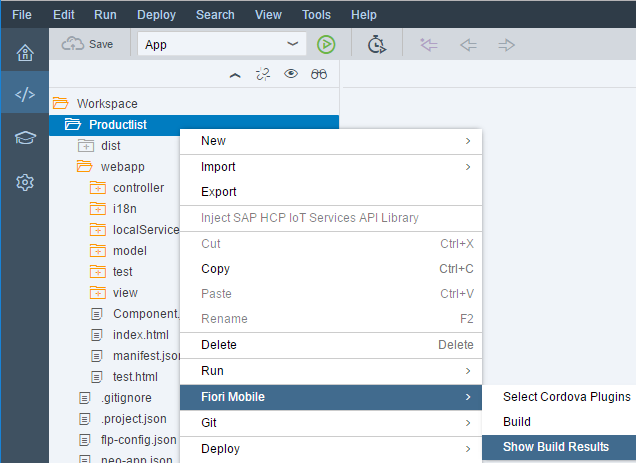 For Fiori Mobile to package the application as a hybrid app it must first be deployed to the SAP Cloud Portal. 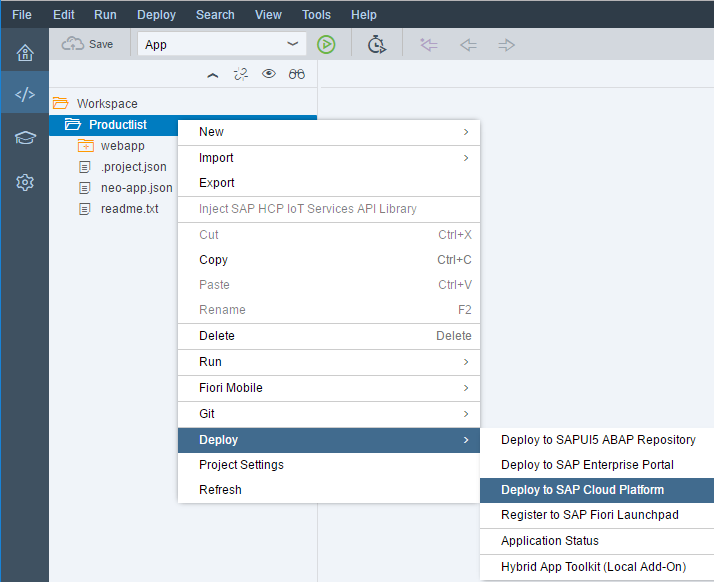 In the SAP Cloud Platform Cockpit enable the following two services. Click on the Portal service tile then click on Go to Service. 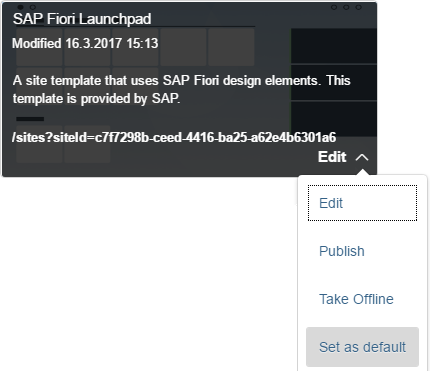 Click on Create New Site choose SAP Fiori Launchpad as the template. Select the site and make sure it is published and set to be the default. 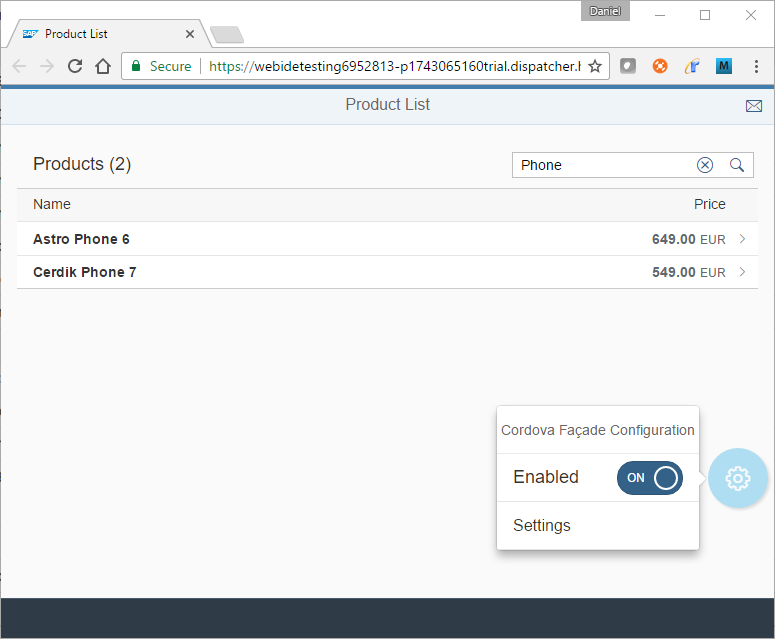 Optionally, right click on the previously created project and choose Fiori Mobile, Select Cordova Plugins and optionally add any additional plugins desired. 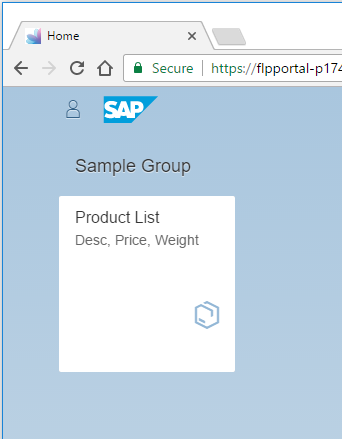 Right click on the Productlist project and choose Deploy, SAP Cloud Platform and register it to the SAP Fiori Launchpad. 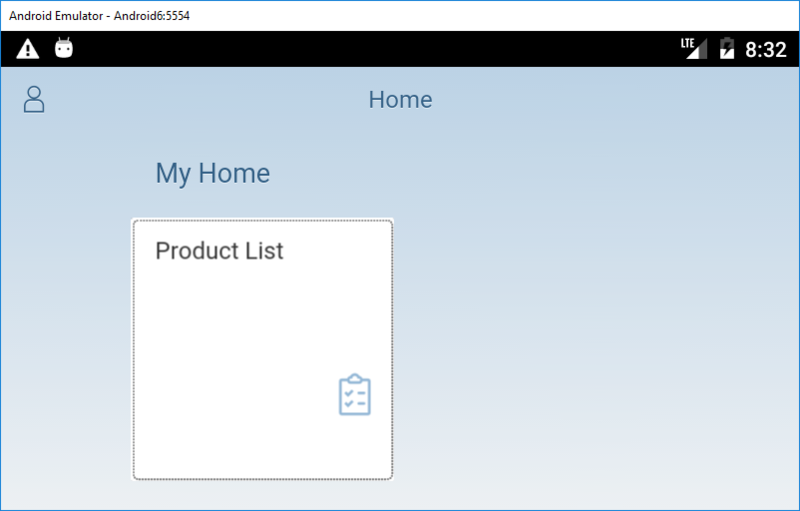 Here is the app running in the SAP Fiori Launchpad. The URL can also be found in the Portal Service cockpit. 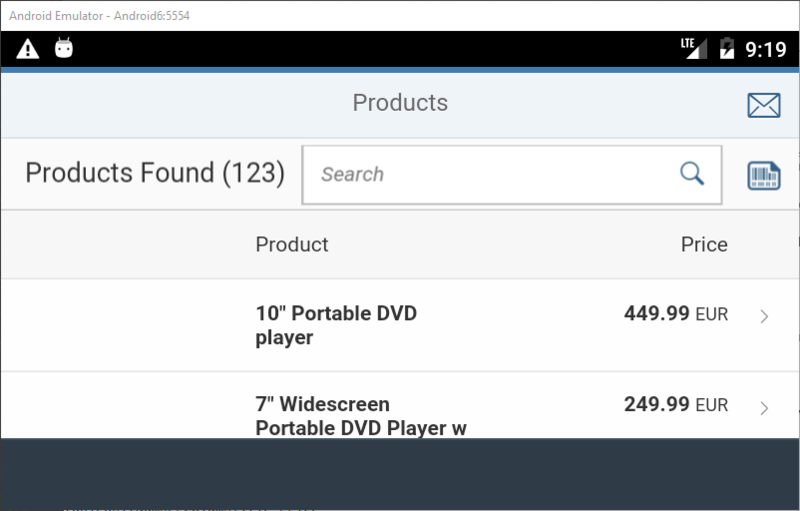 Right click on the Productlist project and choose Fiori Mobile, Build, Build Packaged App. 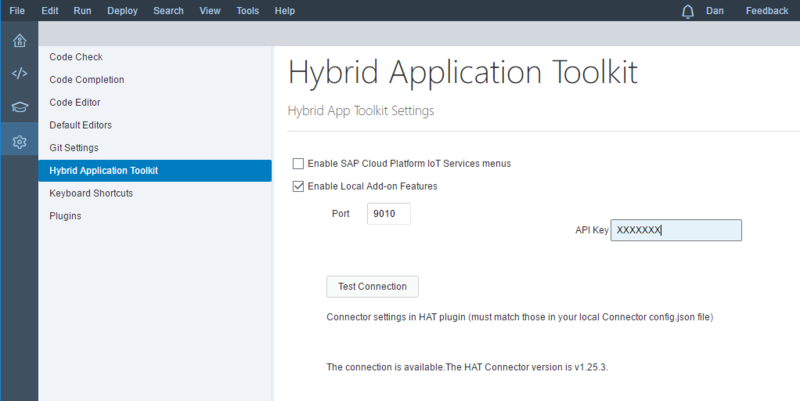 When using the SAP Cloud Platform trial, a maximum of two apps can be created. 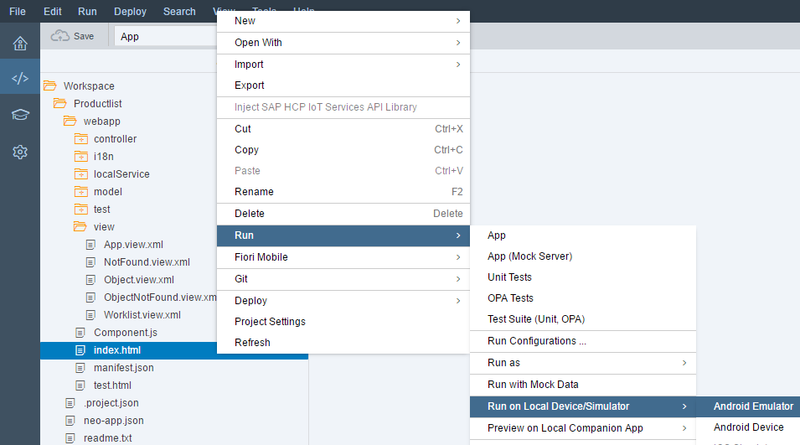 The following instructions describe how to delete a previously deployed Fiori Mobile app. Building a packaged app creates an apk(Android) or ipa(iOS). The Packaging tab chooses between having a single app or an app that has a launchpad with a tile for each app. Note you need to double click on an available app to move it to the Selected Applications table. The below screenshot is an example of multiple tiles being shown in a launchpad. Push notification support can be added to the application. 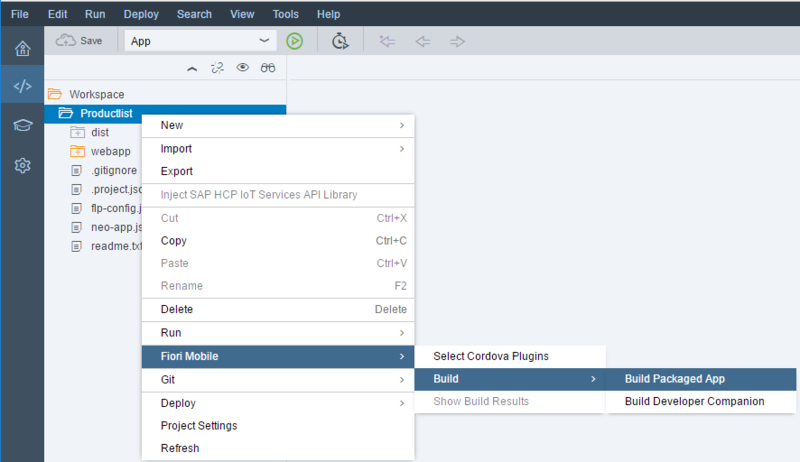 The console shows the build process which is happening in the SAP Fiori Mobile clould build service. 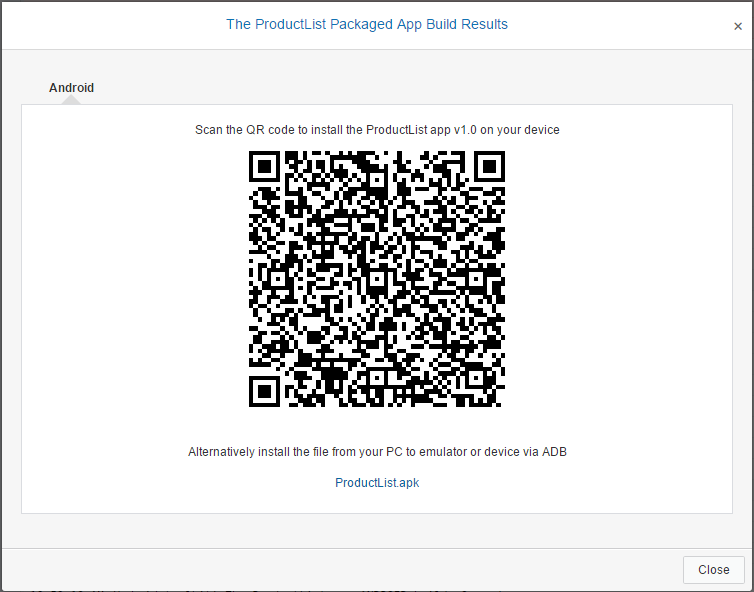 Once the build is complete the apk file can be downloaded by clicking on the Productlist.apk link. Note, the above screen can be reopened by choosing the Show Build Results menu item. After the apk file has been downloaded it can be installed onto an Android device with the below command. The QR code contains the below URL which shows the app on Mobile Place. The app can also be installed directly by pressing the INSTALL button. 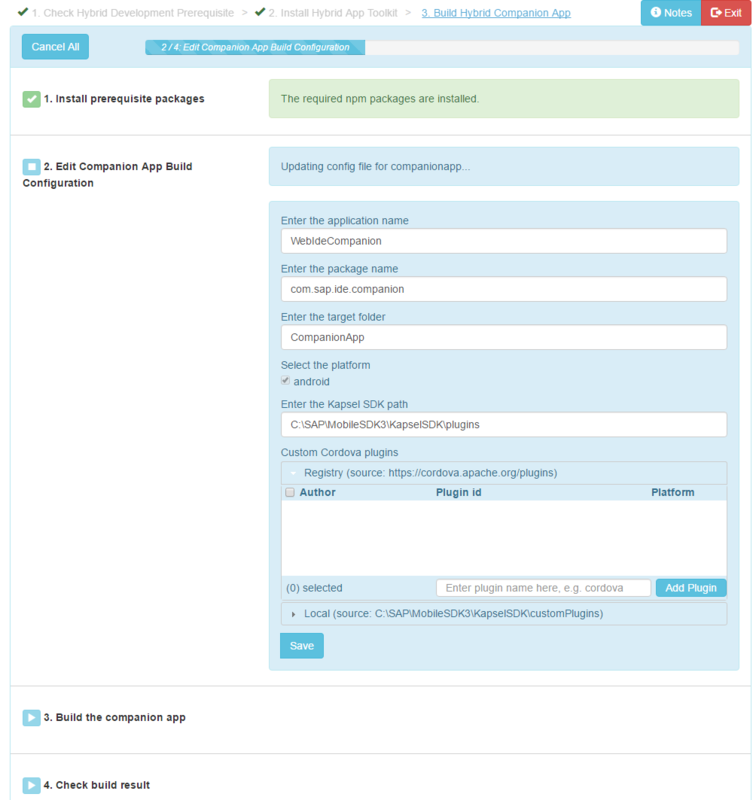 Building a Packaged app will also create a non-editable application for the app in the Development and Operations cockpit. 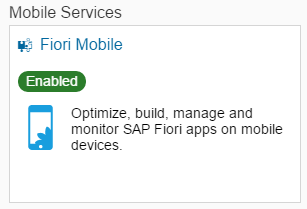 This app configuration can be edited (or deleted) in the Fiori Mobile Admin Console. Note the delete button becomes enabled after deleting any entries shown below that are not in a Ready to build status. Here is the app that is deployed to the device. 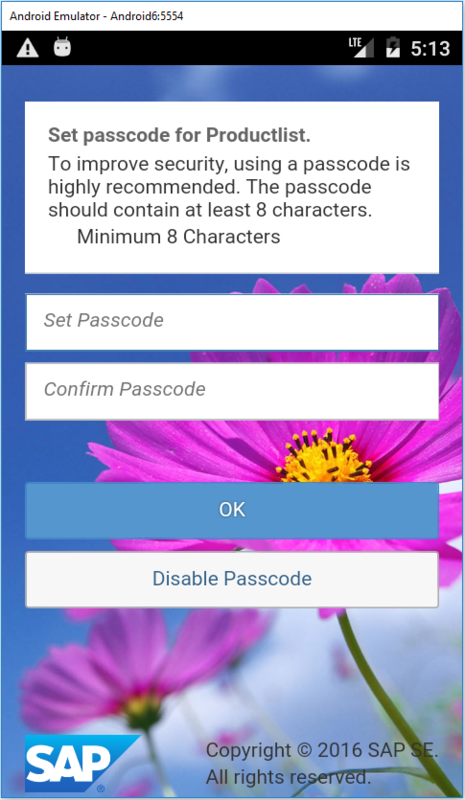 The passcode policy can be set in the Mobile Secure Admin Console as shown below. 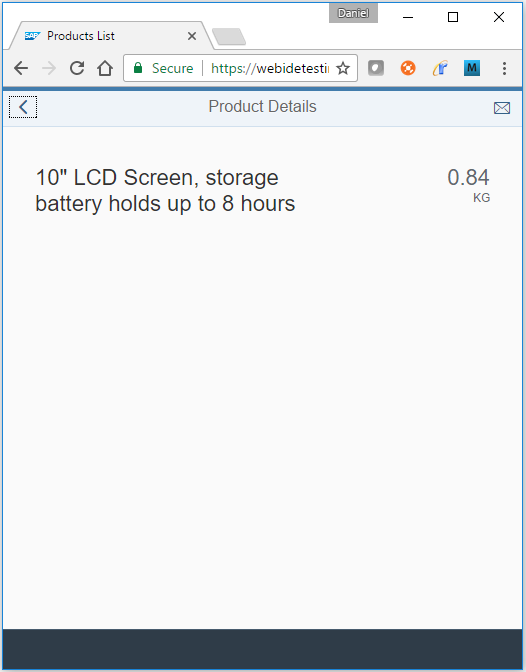 The screen shot below shows the WebInspector invoking the device plugin to find information about the Android device the app is being run on. Note also that all the files that make up the app are loaded from file://. The following instructions describe how to install the HAT components onto your computer that enable the deployment to the companion app or as discussed in the next section how to create and build a local project. The following are some additional links on the topic. 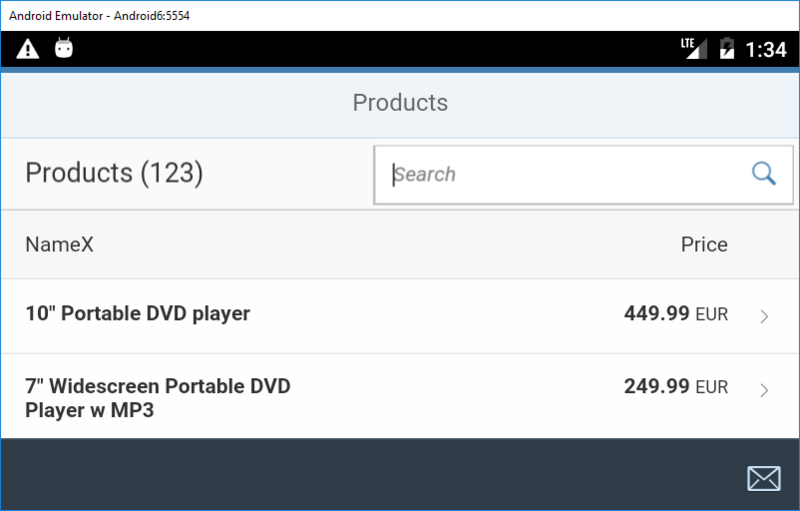 Download the installer from store.sap.com. The above screen checks the versions of the various required components. Each version of HAT is tested to work with specific versions of Node, Cordova and the Kapsel SDK. 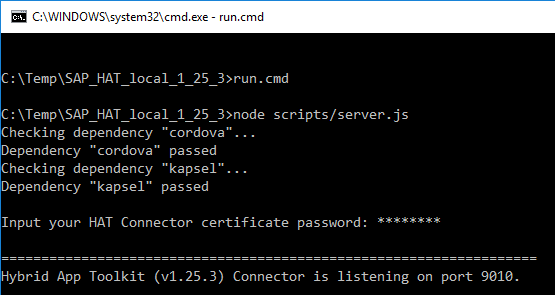 The version of node, Cordova and Kapsel can be determined by running the following commands. The following are some commands to uninstall and install a specific Cordova version. Finally, the version of Kapsel can be determined by the following items. The Kapsel command line interface (CLI) is installed with the following command. The following screen downloads a copy of SAPUI5 that will be included in applications that use the local build and configures the HAT Connector that enables communication between the Web IDE and the build environment installed on your computer. Note that on step 3, the URL for the Web IDE needs to be provided. Finally the Companion App is built which is an application that contains many of the Cordova and Kapsel plugins commonly used in a hybrid app. Applications can be deployed to this pre-built companion app reducing the time needed to build and deploy a Cordova app during development. Once the HAT install completes, start the HAT Connector. 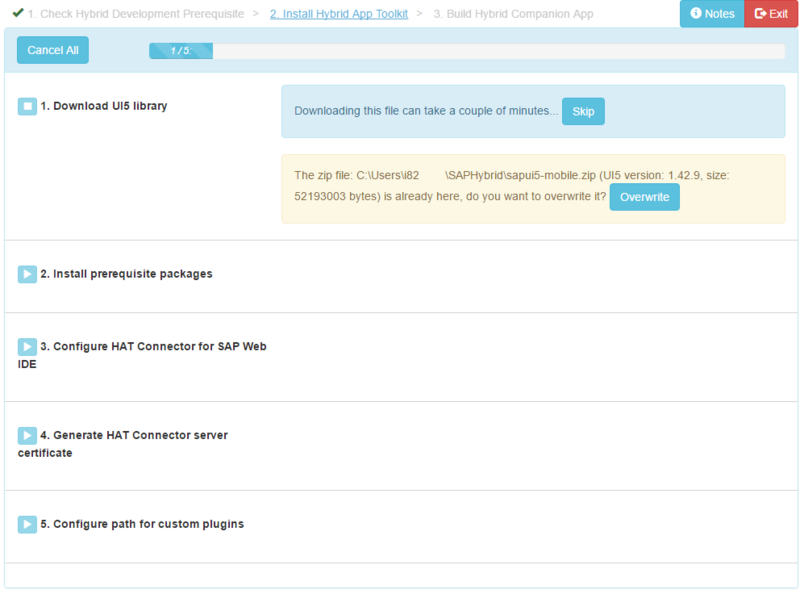 Enable the HAT Local Add-on and connect to the HAT Connector in the SAP Web IDE via the Tools, Preferences menu. Modify the index.html file and change the setting frameOptions setting to be allow rather than trusted. For further details see Frame Options. Run the application in the Companion App. 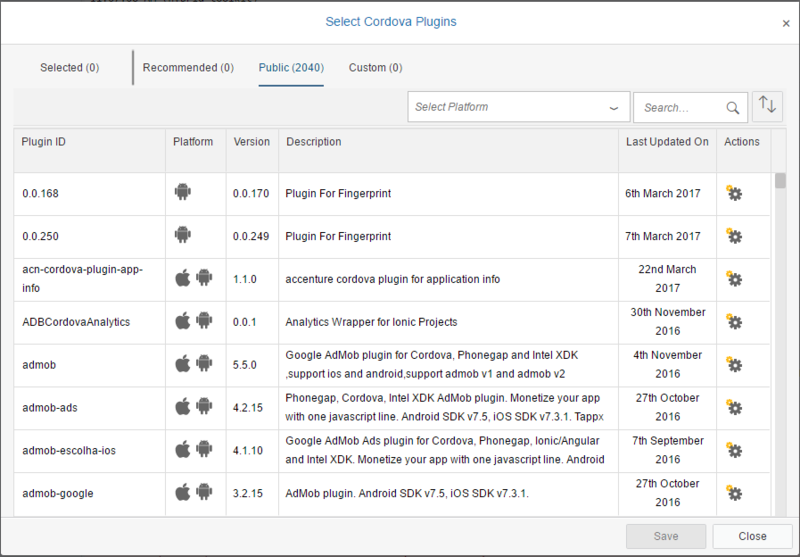 Note the companion app is a hybrid app and the list of plugins included in it can be seen as shown below. You may wish to remove the privacy screen plugin which on Android prevents screen mirroring with apps such as Vysor. 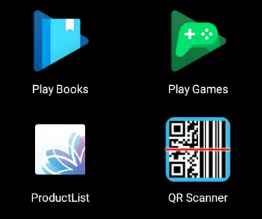 This next section demonstrates a simple change to the application that adds the ability to scan a QR code and have the returned value be placed in the Search field. This change can be quickly applied and tested in the Companion app without having to rebuild and redeploy the application. After SearchField, add the following button. Edit Worklist.controller.js and add the following method. Notice that the change can quickly be tested by double tapping in the Companion App and choosing the refresh button. Notice the barcode scanner button now appears to the right of the search field. If the Refresh is failing, the following trick might help. In the Chrome Web Inspector (chrome://inspect), switch to the Network tab and disable the cache. Then select the Refresh menu again. 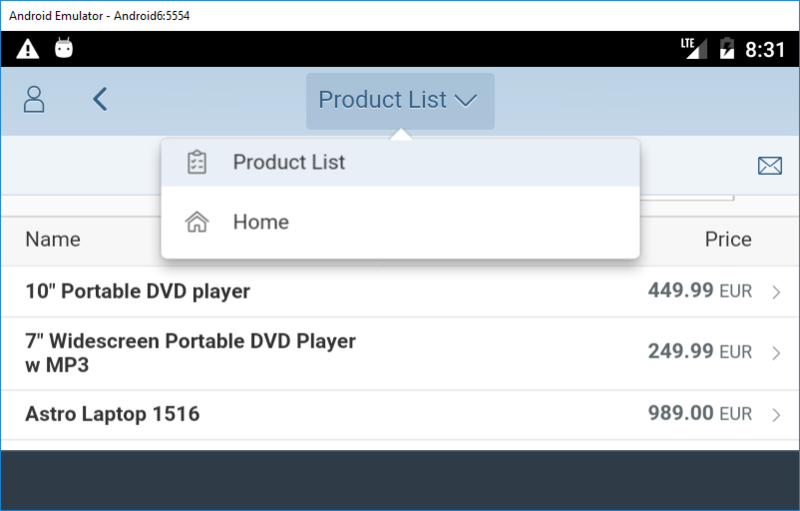 Right click on the Productlist project, choose Project Settings, Hybrid App Toolkit, Hybrid App Configuration (Local Add-on). 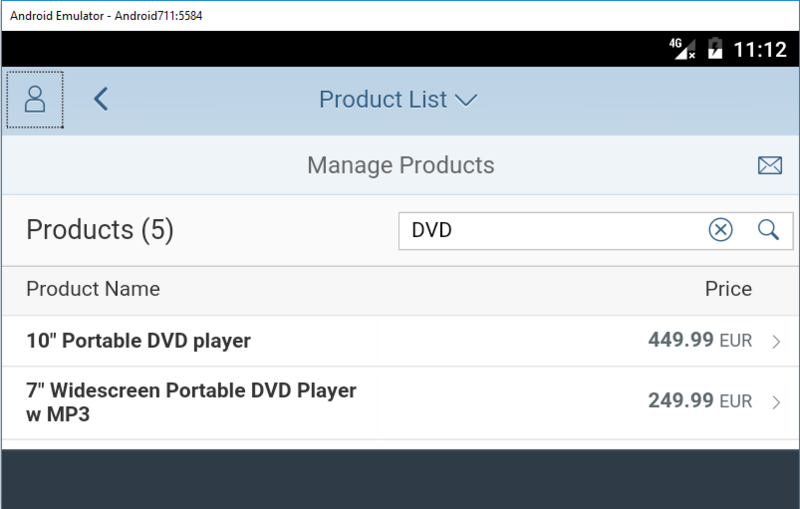 Specify an App ID such as com.sap.productlist. Under the Plugins section check the Logon Manager, Offline OData, Barcode Scanner and under Cordova select Network Connection. 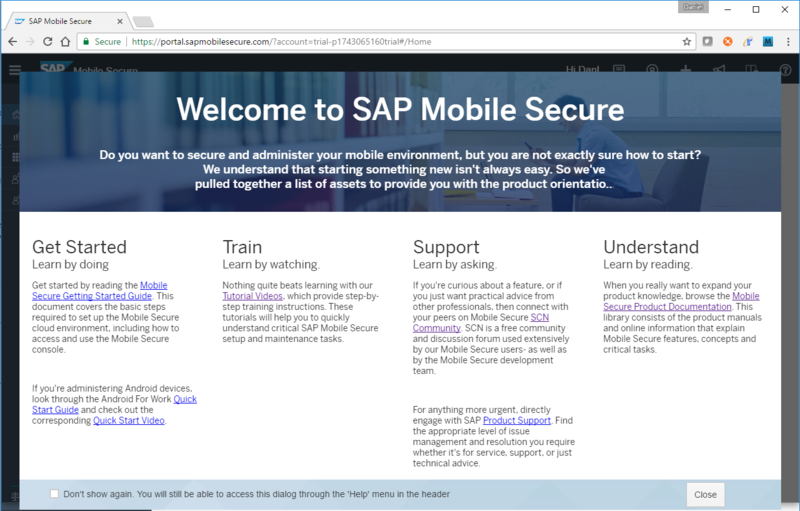 Select SAP Cloud Platform mobile services. Under Logon Options, the Logon screen can be further customized. 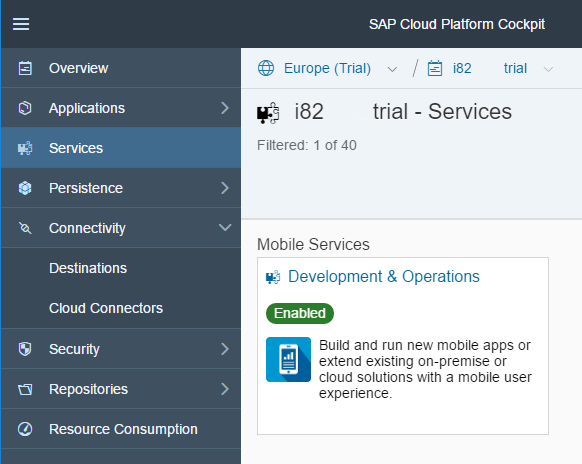 Under OData Endpoint, select SAP Cloud Platform mobile services. 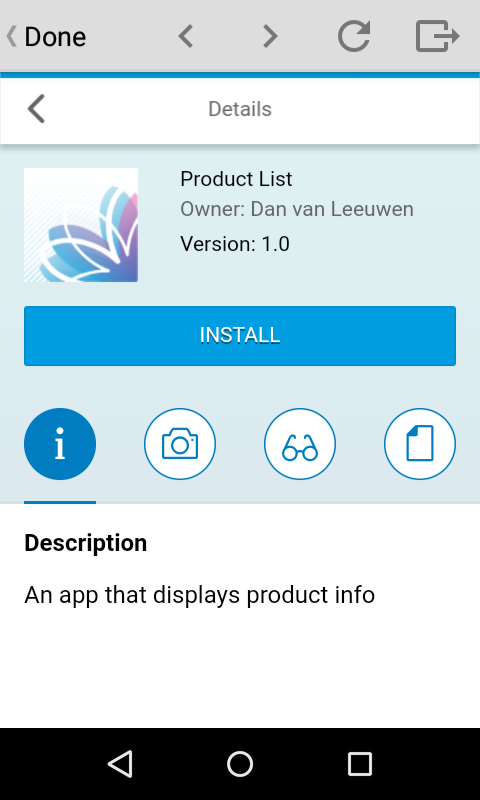 In the Mobile Service for Development and Operations cockpit create a new application with an App ID of com.sap.productlist. Set the security configuration to be Basic. Ensure the Rewrite mode is Rewrite URL (required for offline apps). Add an SSO Mechanism of type Basic. 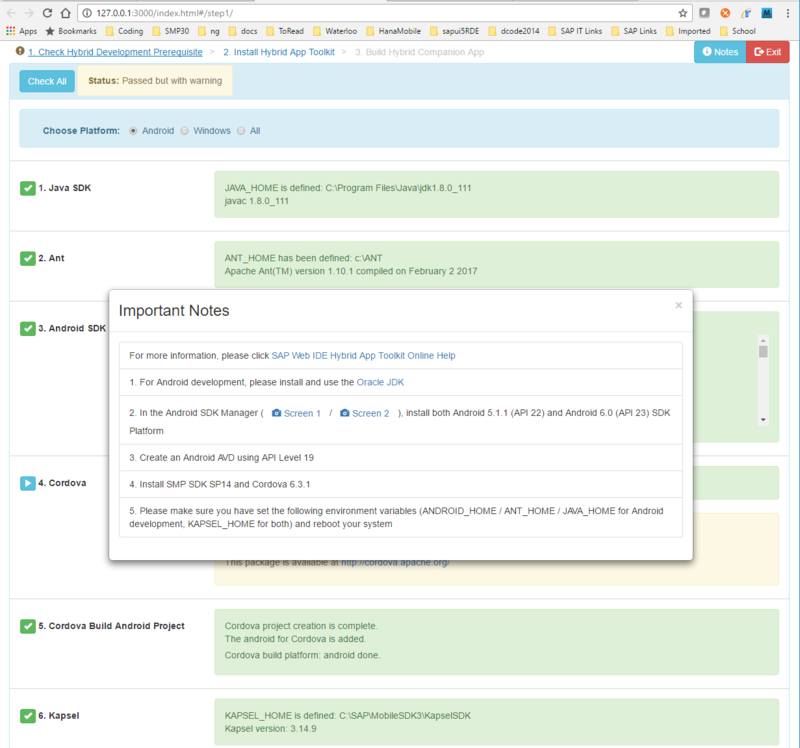 Note, the console shows the results of the build and deployment process but is truncated after a few screens of output. To see the complete log see C:\Temp\SAP_HAT_local_1_25_3\logs\command.log. Note, there is an issue using older versions of the Kapsel Offline plugin with Android X86 emulators. This is fixed in recent SP 14 PLs. The following blog posts may also be of interest. In Component.js, comment out the following line. Add the following new section. In the sap.app section add the below entry. Run the project on a device or emulator. 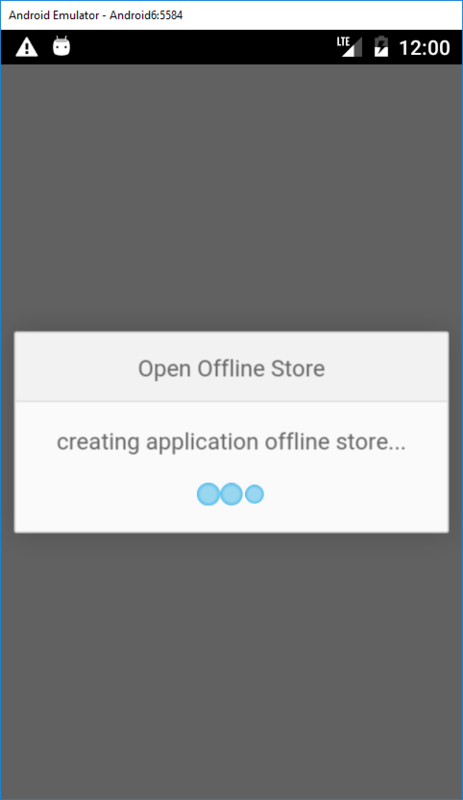 Notice above that the device after the offline store has been initially created can be put in airplane mode and the product data is still available if the app is closed and reopened. The following bits may be of interest for Kapsel developers. 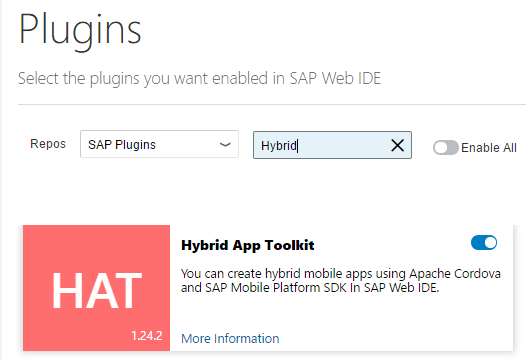 The following files do not appear in the SAP Web IDE but in the hybrid project. www\mobile.json Contains the appID, serverHost, custom fields for the logon plugin etc as well as some HAT specific settings like proxy and serviceUrl. www\hybrid\kapsel\logon.js Contains methods to initialize and use the logon plugin. www\hybrid\odata\hybridodata.js and offlineStore.js Contains methods to initialize and use the offline plugin. At this point a hybrid project is created and the regular Cordova commands could be used to deploy the project. The project can also be recreated via the Prepare Hybrid Project menu item. The following steps take the output from the Web IDE generated project and place it into a project created from the command line. Then some code is added to register the application with the SCPms server and open an offline store. After following these steps, you will have a better appreciation for what the HAT automates. 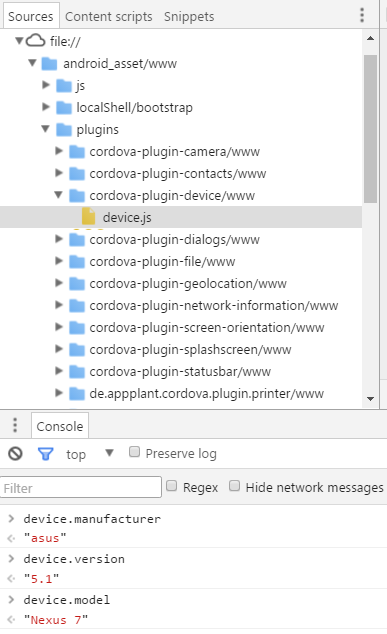 The following steps create a hybrid or Cordova project, add the Android platform and add the plugins. 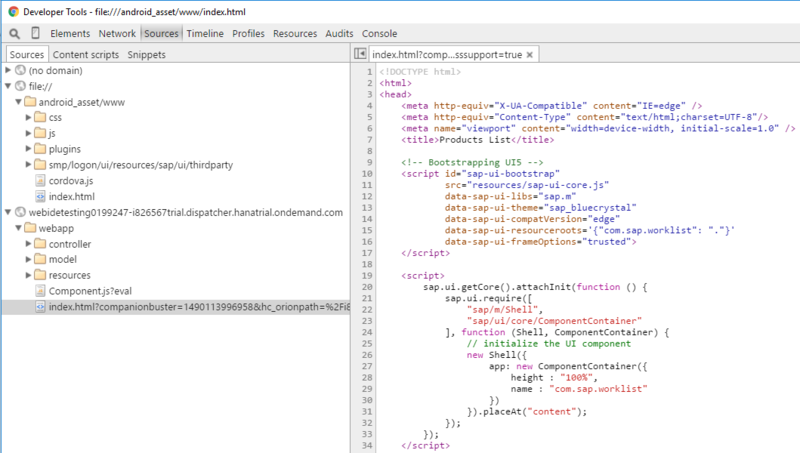 Export the source code from the Web IDE. Place the contents of the webapp folder into the www folder. Modify the index.html file to initialize the logon plugin and open the offline store before starting the app. 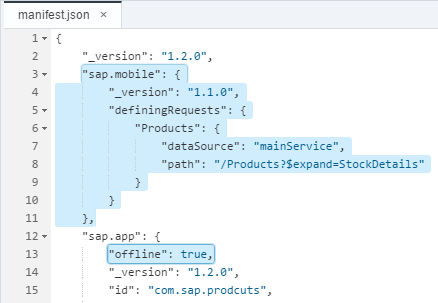 Then add the following code replacing the existing sap.ui.getCore().attachInit method. Also update the serverHost, user and password values. sap.OData.applyHttpClient();  //Offline OData calls can now be made against datajs. Modify the dataSources uri as shown below. 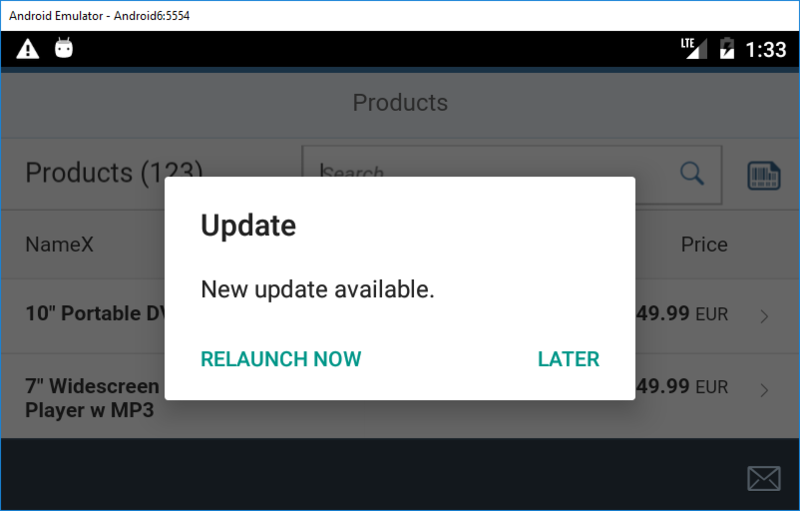 For additional details of the App Update plugin see Getting Started with Kapsel – Part 3 — AppUpdate (SP13+). 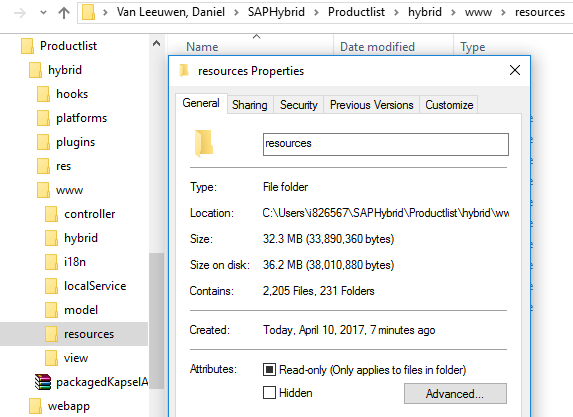 The development version of the app contains a lot of extra SAPUI5 files in the project\hybrid\www\resources folder. 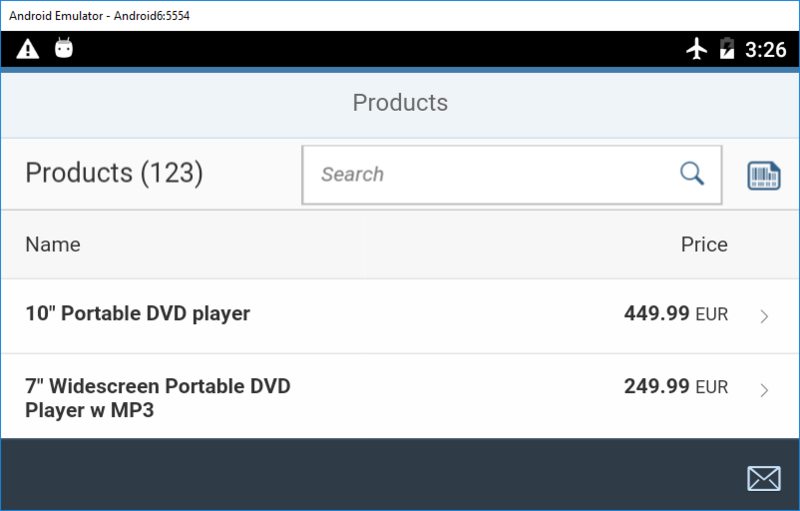 We will reduce that amount by using the SAPUI5 library included in the Kapsel UI5 plugin which contains a smaller subset. 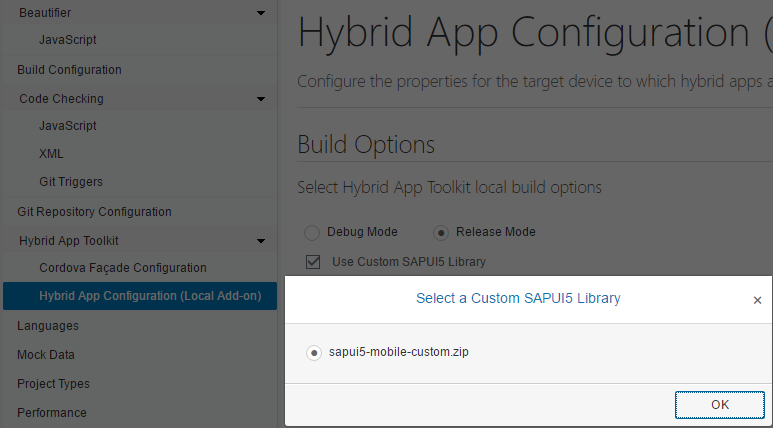 Create a zip file named sapui5-mobile-custom.zip containing the contents of the following folder. 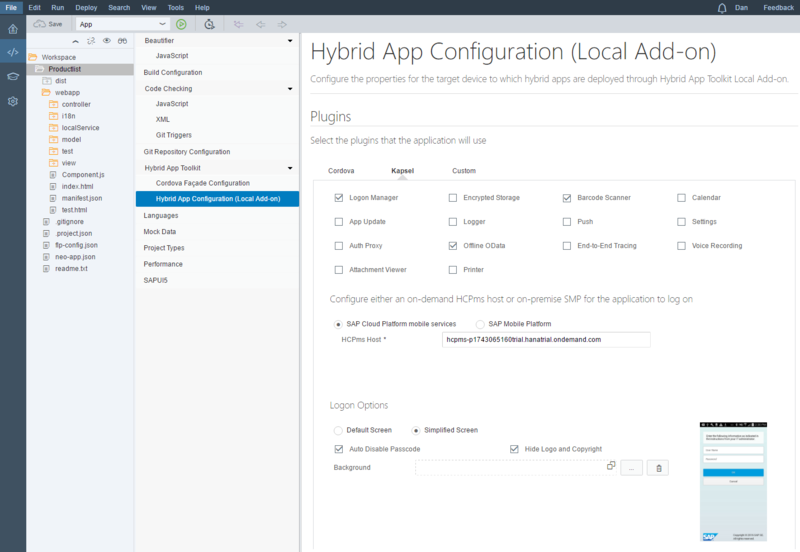 In the Web IDE, in project settings select Hybrid, and choose to use a custom build. Add the App Update plugin to the project and set the Hybrid Revision to be 0. Deploy the app to the device or emulator. 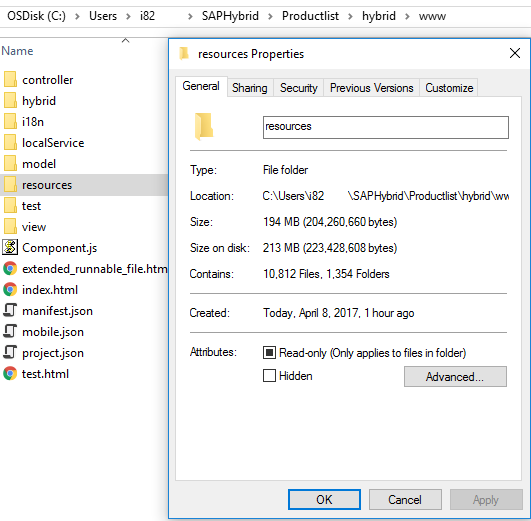 Notice the size of the resources folder is much smaller (32 MB vs 194 MB) and that the deployment to the device is much faster. Make a change to the app that you wish to have updated on the deployed version of the app. For example, remove the barcode scanner button by deleting the barcodebutton in Worklist.view.xml. Deploy a zip containing the www folder of the application to the SCPms server. Browse to the generated zip file and press the Deploy button. Note if the upload fails the HTML5.SocketReadTimeout setting can be increased on the mobileservices destination. Navigate to the management cockpit for the Mobile Services server and deploy the change. The next time the app starts, it will check with the Mobile Services server and send down the updates. thank you for this great introduction to Web IDE in combination with HAT. I have a question about something that is still unclear to me. In my scenario I would like to use Web IDE with HAT and an SAP Mobile Platform 3.0. So far everything works, but I’m searching for a best practice for handling the destination urls of the odata service. 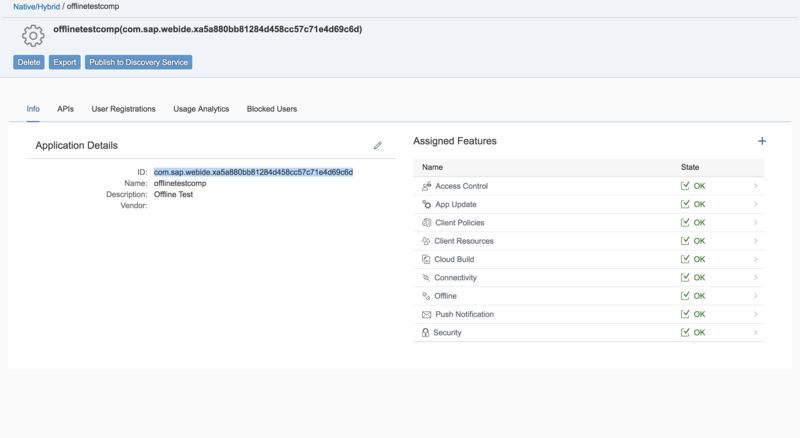 From Web IDE I’m using a the Cloud Platform Connector to connect an ABAP backend. 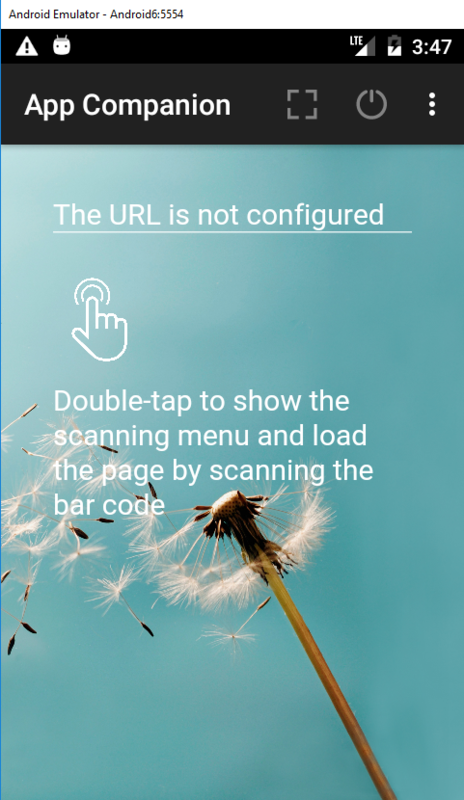 but when I use the absolute url to my mobile platform and the corresponding service, Web IDE is no longer able to connect, as the mobile platform is in my local network and not reachable for Web IDE. Therefore I’m not able to run my application for testing in Web IDE. Is there any other way (something like a best practice), as constantly switching the uri in the manifest.json? 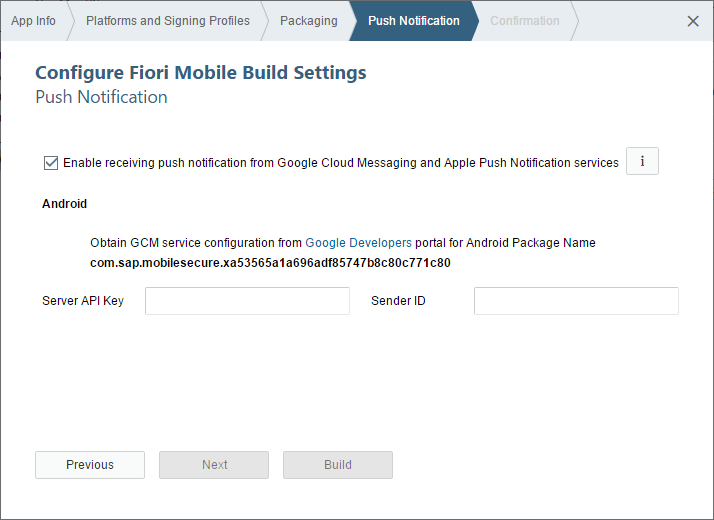 Do you know if there is any documentation available on how to perform flush and refresh for offline applications completely built on the cloud using Fiori Mobile? Also, I’ve only found this document regarding the sap.mobile namespace for the manifest.json file. But a lot of the possible parameters you can use as shown in many different blogs are not listed there. For instance I saw in one of the blogs you referenced for the offline section, that includes “stores” as an element in the json file. Perhaps take a look at the following blog. Abdul may be better able to help. Hey Daniel. Nice blog. Do you know if offline development can be done using the developer companion? I don’t believe so. I think the purpose of the developer companion is to have an app whose HTML content is updated between runs which saves time as an APK does not have to be rebuilt each time you make a code change during your development cycle. Hey Daniel. Thank you for getting back to me. 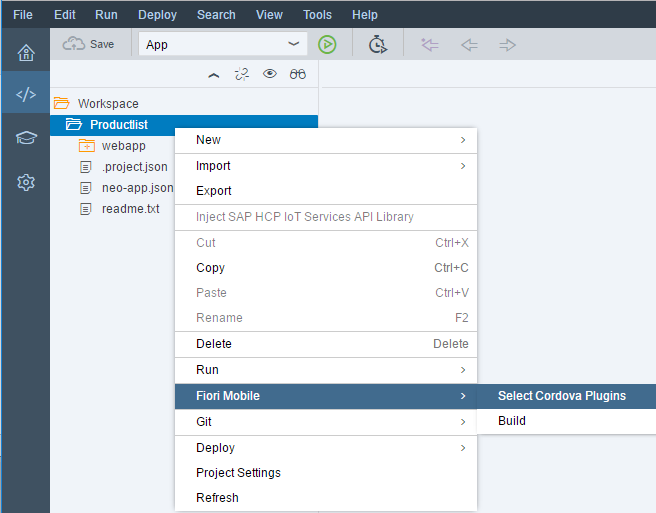 I can see that we can build a developer companion under Fiori Mobile in the webide. Just hoped we could use that somehow. 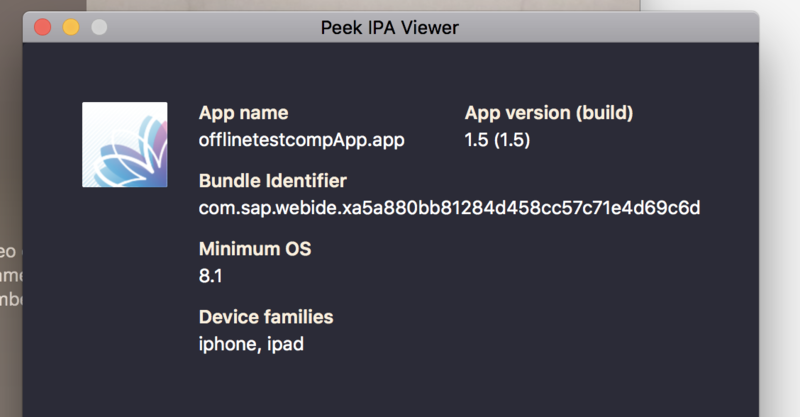 Unfortunately it takes a lot of time when I have to test the app by first builder a packaged app and then downloading that to the device. At the moment I get the error [2018-02-23 12:36:48.02072] [ET] Build failed for [IOS] [ErrorCode: 40001] [ErrorStatus: RESOURCE COLLECTION FAILED] when building the companion app. I am not sure what might be causing that error. I will forward this comment to a colleague who may be able to help. Hey Daniel. Did you manage to find out more on this problem? 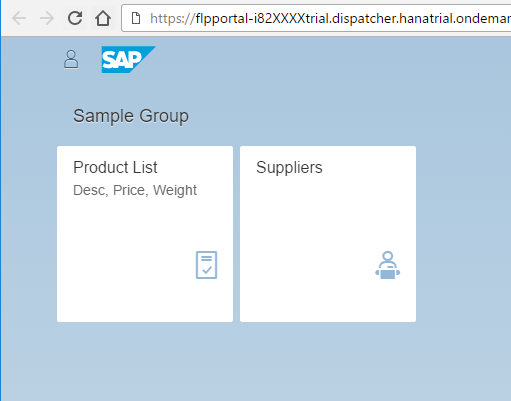 Please ignore the installer on the hana tools site. It is not up-to-date. Please use the SAP Store instead.